Documentation and responses to various articles for my Intermedia I class, which I am enrolled in this Spring 2008 semester at the University of Iowa. TRUSTWORTHY TO ENGAGE IN BUSINESS . THE COUNTRY GOT KILLED BECAUSE OF WAR. HAS BEEN DEPOSITED WITH A SAFE RELIABLE SECURITY COMPANY. OF THE FUND TO YOUR COUNTRY. THERE WE AGREED ON THE TYPE OF BUSINESS TO INVEST. YOU WOULD DO FOR US ARE AS FOLLOWS . 1. MAKEING AN IMMEDIATE ARRANGEMENT TO TAKE THE FUND AT THE SECURITY COMPANY. 3. LOOKING FOR A GOOD BUSINESS WE WILL DO WITH THE FUND IN YOUR COUNTRY BEFOR THEN. SO THAT THEY WILL TELL YOU HOW THE FUND WILL GETS TO YOU. 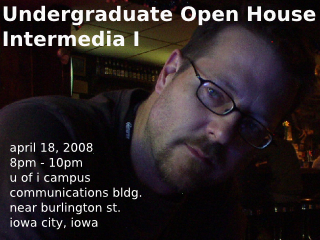 With this being my first and only time I had demonstrated or had anything to display for the Intermedia Open House, I was not sure what to expect. I didn’t get neither of the rooms I had requested, so I had to make-do with the one that was vicariously chosen for me. Setup did take some time, however. I hadn’t been feeling well since noon, so I felt as if I was trudging through mud. The plan was to do most of the work the Wednesday before, but the room I was stuck-with was not available during our usual class-time. I arrived Friday with my bundle of tech-gear around 4pm, found Mark NeuCollins and proceeded to survey my little niche. 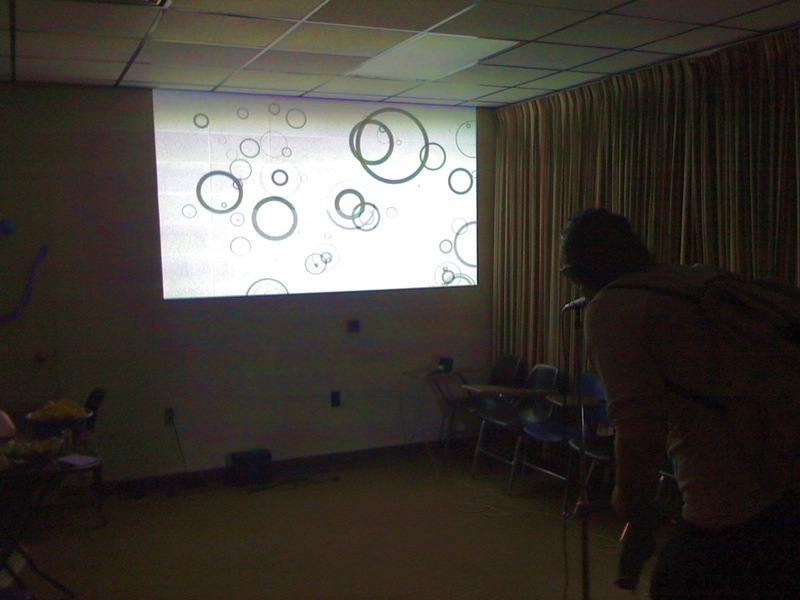 There were four other Intermedia display’s in the room; only one of them had anything setup at all. I wasn’t entirely sure how much room I would need, so I guess-timated the dimensions. (More on the setup process to come). For my University of Iowa Intermedia I class, I have been determining exactly what my final project will be. After attending several lectures, I have decided that my final presentation will have SOMETHING to do with Processing 1.0 [Beta]. Well, along come some brilliant people at MIT who loved Java’s object oriented programming style and write-once methodology, but were more interested in creating visually stunning objects and classes. But, like you, thought Java sucked in that regard. I am currently reading Processing: A Programming Handbook for Visual Designers and Artists. It’s a good read and wonderful tutorial for those interested in both graphic arts and computer science. Below is a sample of one of the Processing classes I’ve been developing for this project. The idea for the code came from Processing: A Programming Handbook for Visual Designers and Artists. I am working with the Ess class to do FFT functions for incoming microphone audio as well. Below is one of the ‘classes’ I’m creating for my project. Back in the day, producing video or other time-based media was an expensive activity. Video camera’s cost over $10,000 and the necessary hardware / software were for the elite. At present, anyone can create their own video. Just look at YouTube. For a fraction of the typical cost, anybody can become the next John Hughes or Steven Spielberg. Although the tools are readily available for cheap, their is a lack of instructions or ‘how-to’ guides on what exactly makes a good film or video. For this project, we were to record 15 minutes of video using a miniDV camcorder, import the clips into Final Cut Pro, and edit the footage into something cohesive. For me, this gave me the opportunity to create a music-video for one of the tunes I created several years ago. The actual music is available for download at www.acidplanet.com: just look for the artist: Agent Collateral Damage. I spent my time recording footage of passing cars along Burlington Ave. here in Iowa City. 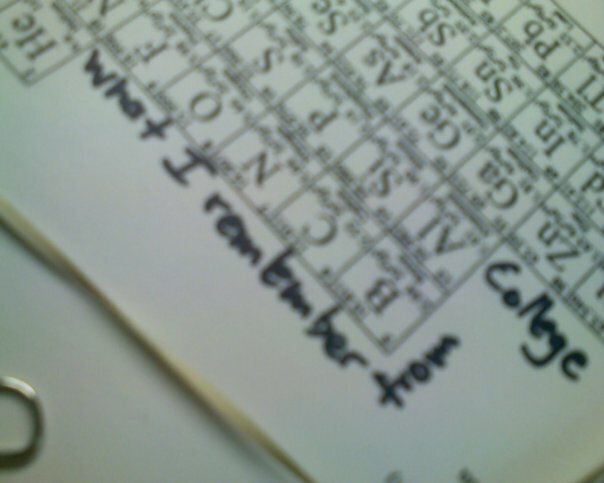 This is actually a prototype of what I had originally intended. 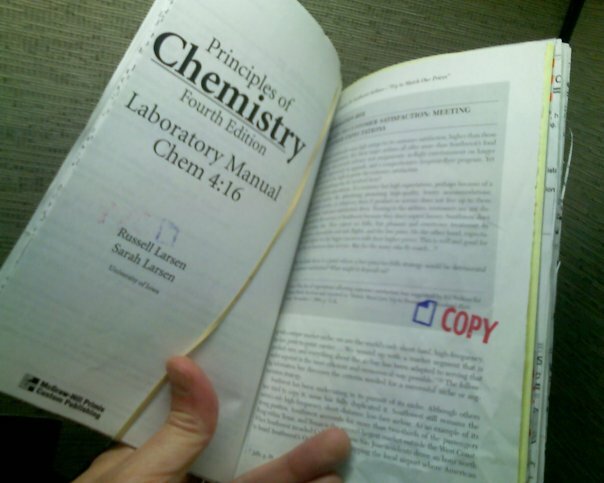 The basic concept was to take sections from various books, assignments and notes that I have accumulated throughout my time here at the University of Iowa. I would then cut them to the size of a small hand-book, jumble them into a pile, gather them together; binding them with glue, staples and paper clips. 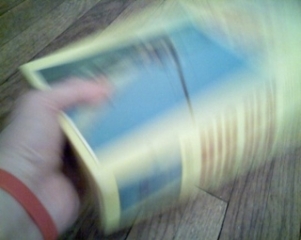 Unfortunately, I couldn’t force myself to butcher many of my books, so what was assembled is not complete. 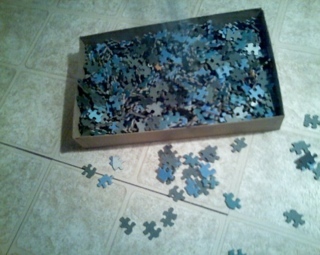 [Step 1: Begin by selecting an appropriate puzzle. There are many factors that determine exactly what the ‘right’ puzzle will be: How important is the puzzle you are using? Has it been put together before? 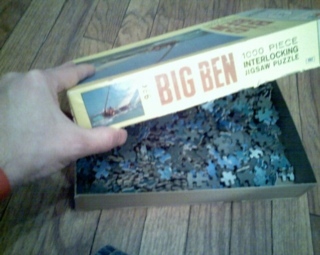 Will friends or family become disappointed if the puzzle will no longer be of use? How big are the pieces? What are the dimensions of the puzzle? What do the colors and textures represent to you? How does it make you feel? These, you will have to determine for yourself. Spend as much time as you need to search your feelings. In the end, you will know which puzzle to use. 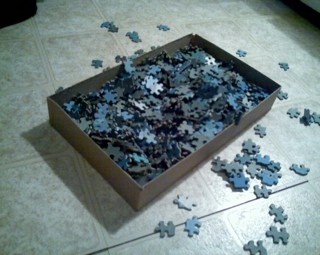 The ONLY requirement is: The puzzle must contain 1000 pieces. 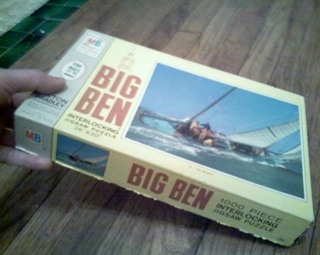 If the puzzle is new and unopened, then it will suffice to take the manufacturer’s word for it. It is OK to assume that a puzzle manufacturing company would never lie to you. 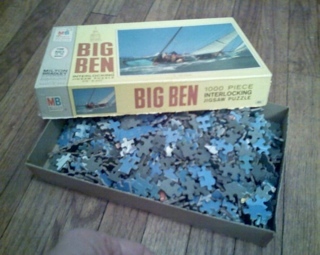 If the puzzle has been opened and / or assembled, then care must be made to assure beyond a reasonable doubt, that the puzzle STILL contains the original 1000 pieces. Place all puzzle pieces in the box with which they are accustomed. Care must be taken to assure that the original box is used. If (and only if) in the the hazardous event that the original puzzle box is simply beyond repair, a second non-standard box may be used. Every effort must be made to repair the original puzzle box, however. Repeat Step 1 until satisfied. 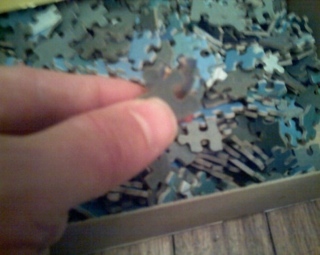 At random, select a puzzle piece from the puzzle. 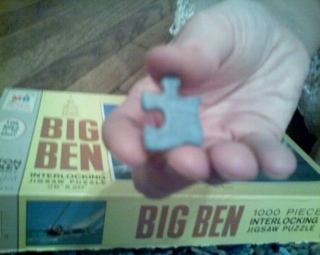 Using the help of an assistant, have them choose a second puzzle piece from the puzzle. 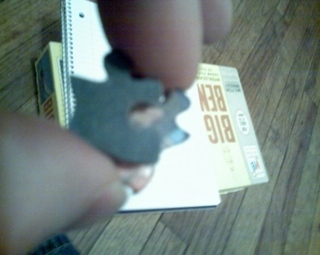 Using your favorite adhesive, glue the two selected puzzle pieces. 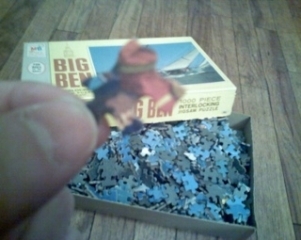 Take care in gluing the puzzle pieces face-to-face. 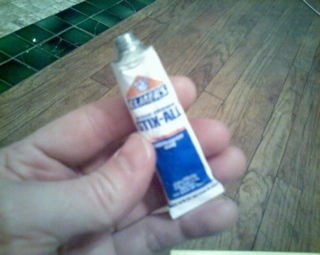 It is perfectly acceptable to glue the two pieces together in a random fashion. Choose an orientation that pleases you. This is no time to be stingy. 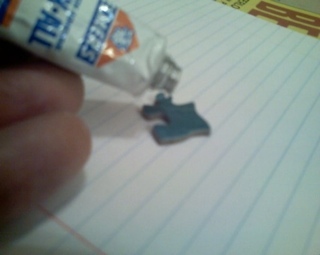 Once the glue dries to an acceptable level, replace the ‘forever adhered’ puzzle piece back into the box. 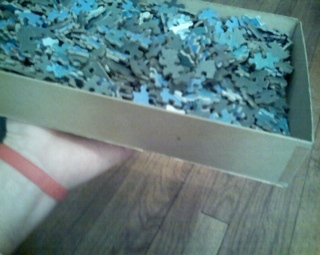 Remove the lid from the puzzle box. Situate the (now opened) puzzle box 3-4 feet above the table (or other final viewing area). Let gravity take over and do its thing. 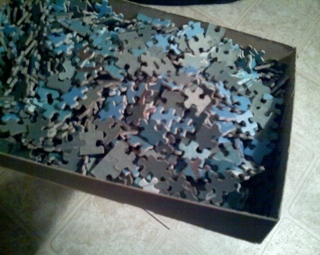 If the final resting place for the puzzle pieces and puzzle do not provide a visually stimulating array, replace the puzzle pieces back into the box and repeat steps 8 through 11 until satisfied. Invite friends and other ‘artsy’ com-padres over for wine and cheese. Allow them to bask in your creativity. 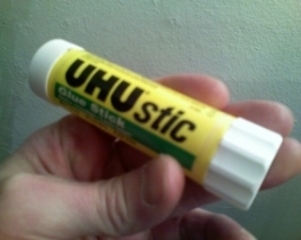 Do NOT give them the URL to this project.